Complete preparation for the more than 30,000 students taking the PCAT each year The number of Pharmacy College Admission Test (PCAT) test takers has doubled since 2001-and that number continues to grow. 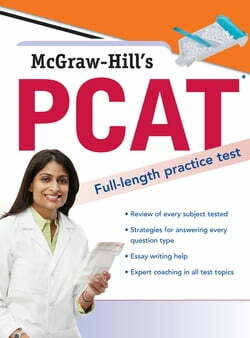 "McGraw-Hill's PCAT" provides comprehensive review of every test topic while preparing you for... read more the new format of the test that was instituted in June 2007. With sample tests, test-taking strategies, and intricate scientific illustrations, you'll have all the preparation you need to perform at your very best on test day.